Do you know how to work with the Universal Laws to help you be more successful in your business? I’ve reached a point in my life where I’ve not only learned from books but personally experienced situations that convinced me there is a Universal Source from which all insights and understandings come and this Source connects us all. I’ve had way too many encounters with synchronicity and what I call “God-incidences” that I couldn’t brush off by merely calling them chance. There have been countless times, and I’m sure you’ve have them too, where I was thinking of someone and they called or I sensed something was going to happen and it did. My husband frequently accuses me of reading his mind as I bring up a topic that he was just about to mention. For instance, one time we were talking about movies and he said, “You know what movie I’d love to see again.” And I answered immediately with this obscure 1970’s foreign film we hadn’t seen or talked about in over 20 years called “Swept Away.” I was right. Another time we were driving to see some friends in Steamboat, and I have no idea what possessed me, but literally out of the blue I asked, “I wonder what John Cryer is like in real life?” My husband about drove the car off the road. He couldn’t believe it. He was just wondering the same thing. These are times that used to freak us out. Now, we just smile and feel validated on how connected we are. The truth is, we are all connected, whether we realize it or not, through the great Universal Mind, God, or whatever you want to call it. And this connectedness is governed by what is commonly referred to as Universal Laws. Awareness of these laws is not new–the concept of them goes back thousands of years. What are these laws? They are the unwavering and unchanging principles that govern every aspect of the universe, and are the means by which our world and the entire cosmos continues to exist, thrive and expand. It is by virtue of these laws that the universe exists in perfect harmony. Universal Laws are not based on theory or speculation. While they were once believed to be only theoretical, mystical, or spiritual in nature, they have now become evident in the latest scientific discoveries, and at times can even be measured on the physical level. The good news is that every one of us can learn to work with these laws in our businesses. It’s the same as working with the law of gravity and not against it. When we choose to ignore these natural laws of the universe, we are more likely to experience struggle, lack, resistance, unrealized goals such as less income, fewer clients or sales, or a lack of focus and direction. Who needs any of that? With that in mind, stay tuned. 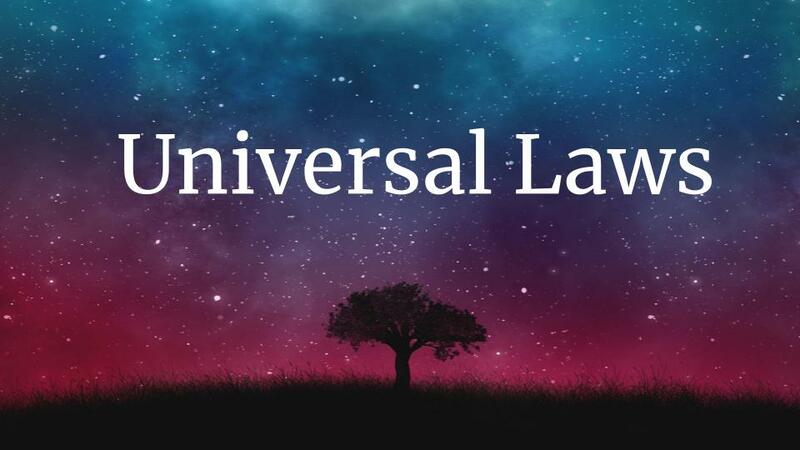 Each day I will send you one of these Universal Laws and show you ways how you can work with them in your everyday life and business.